‍Tak Lo is an investor, founder and mentor of early stage startups. 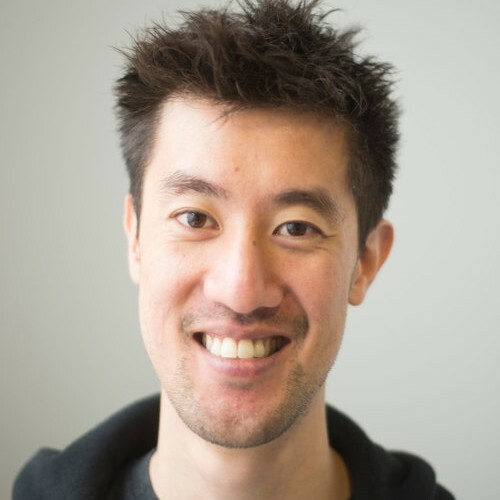 Originally from Hong Kong, he ran Techstars in London and New York, before deciding to move back about two and a half years ago. In Hong Kong, he founded Zeroth, Asia's first accelerator for early stage startups in the field of Artificial Intelligence. "I believe there's a lot of talent in Hong Kong and in Asia that can produce tech companies so I took what I learned abroad, moved back and created Zeroth, to back the talent we have here in Asia." Since its first program in 2016, Zeroth has successfully invested in 33 companies from over 15 countries. For Tak, being able to witness the growth and maturation from the founders they support is the most fulfilling aspect of what Zeroth does. "It's been wonderful to back founders who are making an impact in the world and technology. Being part of the founder's journey and witnessing their growth is the most important thing we do." So what is Zeroth's secret sauce? How do the partners choose which companies to invest in? Tak assures us that they talk to everybody. Their selection is based on getting to know the founder, listening to their story and finding out their why, and what makes their work different and interesting. A key distinction is that at Zeroth, all the partners are founders. The team knows from personal experience what it takes to build a company and that it is not easy. Everyone is a founder first and is able to look at the investment from a founder's perspective. "We don't think of ourselves as investors. Investing is part of what we do; we deploy capital, but ultimately we are building companies. Especially for early stage startups, we think about what's best for the founder. Once you optimize for that, everything else falls into place." The startup community and ecosystem in Hong Kong is buzzing and growing at a very fast pace. During our talk with Tak, we asked him to share with us some advice for upcoming startups in Hong Kong. "Don't be scared. Hong Kong is expensive and can be intimidating at first. However, this doesn’t need to be a barrier to a thriving startup ecosystem, London and New York, where I lived before are expensive too and they have some of the best startup ecosystems in the world." Hong Kong offers many advantages such as amazing talent, great infrastructure, its proximity to China, Japan and Southeast Asia, and great connection to investors. And importantly, there is money here, which translates into great opportunities." One of the challenges for startups in Hong Kong is how hard it is to open bank accounts. For Tak, Neat's alternative offers a solution. "The companies we are investing in need to open bank accounts, so they can take the investment they get and grow. Neat’s alternative is a great product/market fit. The Neat Business account solves a pain point and fits a strong need in the market." "I also support Neat because I know David. I've seen the company's trials and tribulations; where they started and where they are now. It's the most powerful and impressive thing to witness. From founder to founder, I know it's not easy to build a company to what Neat is today and I want to support that journey."